Kobe is known all over the world for being the area where the most exclusive beef on the planet is produced. It should not come as a surprise to anyone that there is an abundance of opportunities to sample Kobe beef in Kobe. Wagyu cattle raised in the Hyogo prefecture of which Kobe is the capital city, and raised according to certain rules set out by the Kobe Beef Marketing and Distribution Promotion Association. The reason why this meat is so famous is thanks to the tenderness, flavor, and the well-marbled texture that contains a fairly high amount of fat. However, Japanese cuisine was not an early adopter of meat. 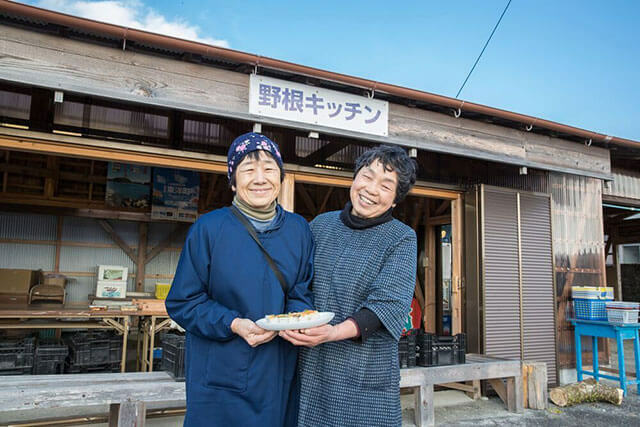 Traditionally, fish and tofu were the main sources of protein for the Japanese people. Cattle have been bred since the second century, but primarily for use as work animals, and limited meat consumption has been around since then but it was not until after the end of World War 2 that it started appearing more frequently on Japanese dinner tables. Kobe quickly became known throughout the country thanks to the high quality, and in the 1980s a push was made to expand the global reach of the brand. It took until 2012 until genuine Kobe beef actually started to appear outside of Japan, as no beef produced prior to this was actually exported. 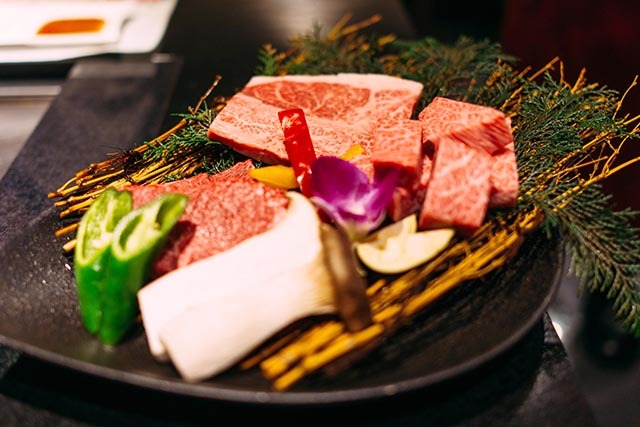 For budget minded visitors who want a sample of genuine Kobe beef, Grill Kisho is worth a visit. During lunch time they offer a limited number of Kobe beef steaks for as little as 2,200 yen, which includes rice, salad and a coffee. They also serve some alternative dishes where the same meat is used, but in slightly different variations, such as Kobe beef stew or Kobe beef hamburg steak. 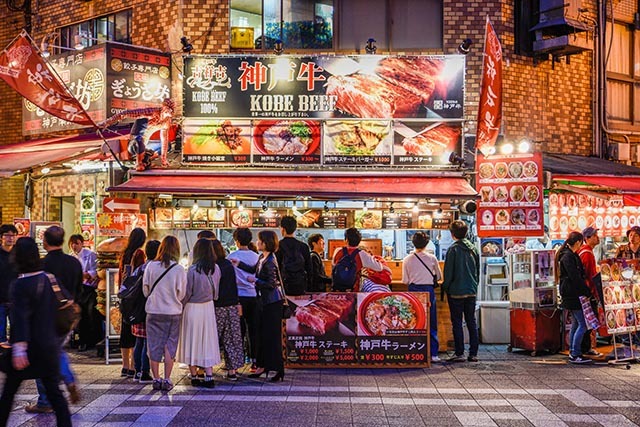 Another budget option is heading to the street vendors around Chinatown who offer small slices of Kobe beef, grilled on the spot right in front of your eyes for around 1,000 yen apiece. The slices are fairly small though, and eating the equivalent of a whole steak would get quite pricey. However, if you just want a bite to see what all the fuss is about, it’s a decent option. There is also the option of having a proper American hamburger, in an American diner setting nonetheless, made out of Kobe beef at WANTO BURGER. This restaurant serves awesome hamburgers made out of genuine Kobe beef for about 2300 yen. If you really feel like you want to splurge, you can upgrade from a beef patty to a proper slice of steak for an extra 1,500 yen.